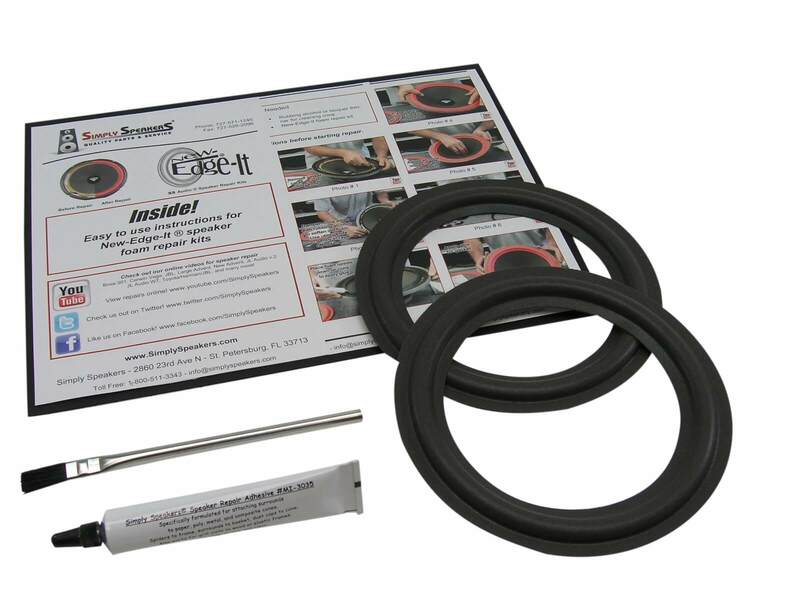 I bought this repair kit for the above sub woofer speaker. I followed the directions and it provided a perfect repair. My system is back to full sound again. I did have to attach the foam to the bottom of the cone rather than the top as there is a 1/8 inch lip on the cone and I didn't want to cut it off. I stretched the foam over the cone edge, applied the glue to the inner edge of the foam and pressed the foam up against the cone from underneath using the holes in the frame for access. After it dried, I glued the foam to the edge of the frame, making sure the cone was centered. I let it dry for one full day, applied the sealer, let that dry for one full day and reinstalled in the box. I have the other foam piece for when it eventually fails again. I've had my Klipsch Promedia setup for about 15 years now. I turned it up a few weeks ago to show off to my wife and the woofer surrounds gave up the ghost. I ordered the kit (my second speaker repair kit from Simply Speakers, the other was for an 8" Advent sub no longer made and it was great too) and followed the directions and they sound great again. It took me a couple of hours to get the old glue off but I'll take some elbow grease over a hole in my wallet any day. Kit worked well. This sub has two speakers in it so having the second set was great. 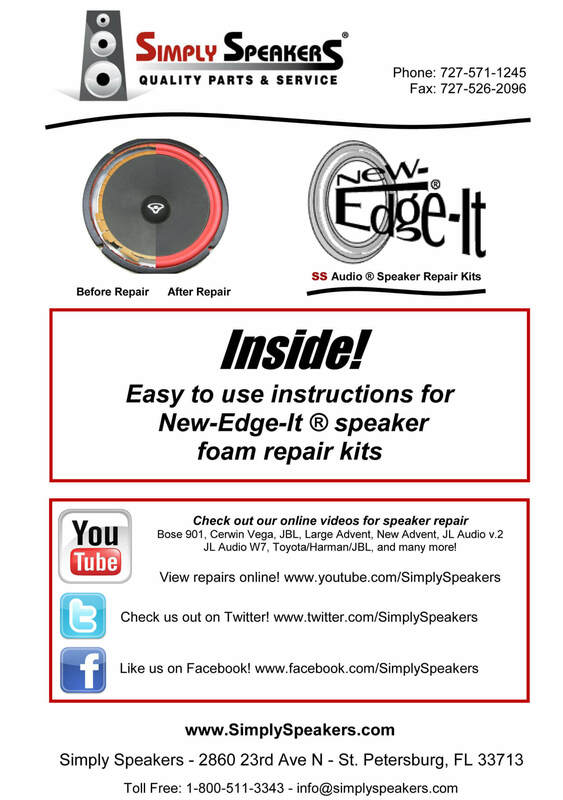 The youtube video from Simply Speakers was done well enough to figure out how to install. The glue seemed to be an important factor as the dry time was quick enough to position the surrounds and still move them as needed to center coil. The second speaker was much easier to do than the first. I could be a pro by the third or fourth. 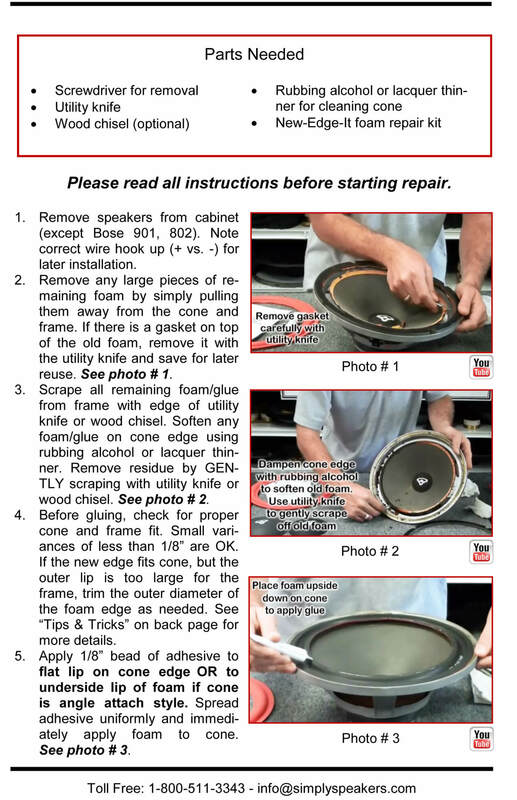 I purchased the repair kit over a month ago, then began the project of fixing my Klipsch subwoofer. 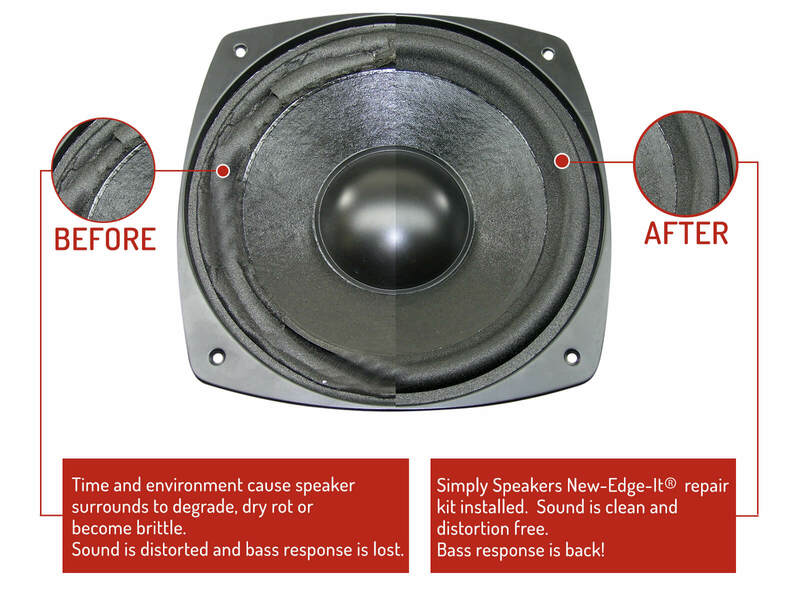 First I watched the very helpful videos on YouTube from Simply Speakers,then began the repair by following the steps associated with the video. I'm delighted to write, my speaker now works good as new. is a great product good qualaty, the istalation was not to hard a bit messi for me but I gues coz it was the first time. I the other 8" sub ill do it later when i have more time. These surrounds are the best! I revived my two gorgeous Kilpsch 6.5 woofers with these surrounds (the old ones were total goo), and while they don't look as good as the ones Kilpsch puts together, they sure sound as good. I am VERY pleased with these surrounds. The repair kit and instructions were as advertised. Followed the instructions and the results were that the reconditioned speakers function and sound like they did when I first purchased the system. A very good product. Simple to use. Requires little technical expertise. WORKS FLAWLESSLY THANKS TO YOUR HIGH QUALITY PRODUCT,INSTALLED IT MYSELF THANKS TO "HOW TO VIDEO". NOT ONLY DID ORIGINAL ORDER GET LOST IN THE MAIL. SIMPLY SPEAKERS SENT ME ANOTHER ONE FREE OF CHARGE.THANKS SIMPLY SPEAKERS. 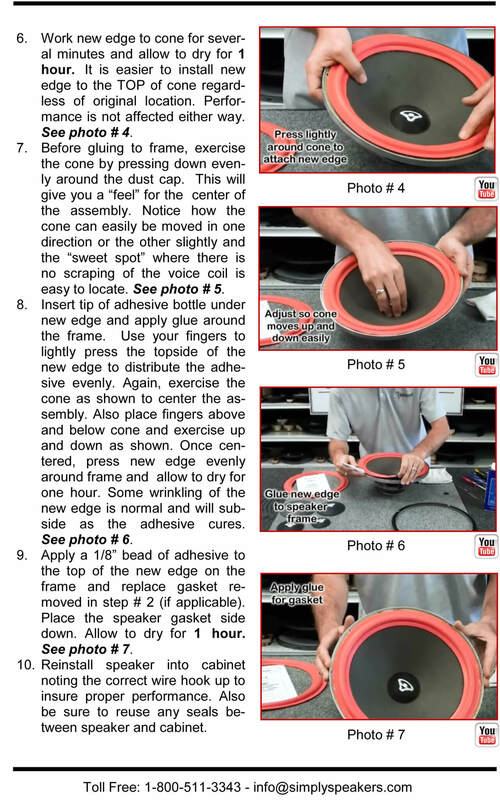 Q: The original surrounds on this speaker attach to the backside of the cone, yet your accompanying video says to attach the new surround to the top of the cone. Does it matter? It seems to me that the best chance of success might be to attach it to the top. A: The repair can be done either method, and we have videos showing both installation options. Top mount is usually easier to do. 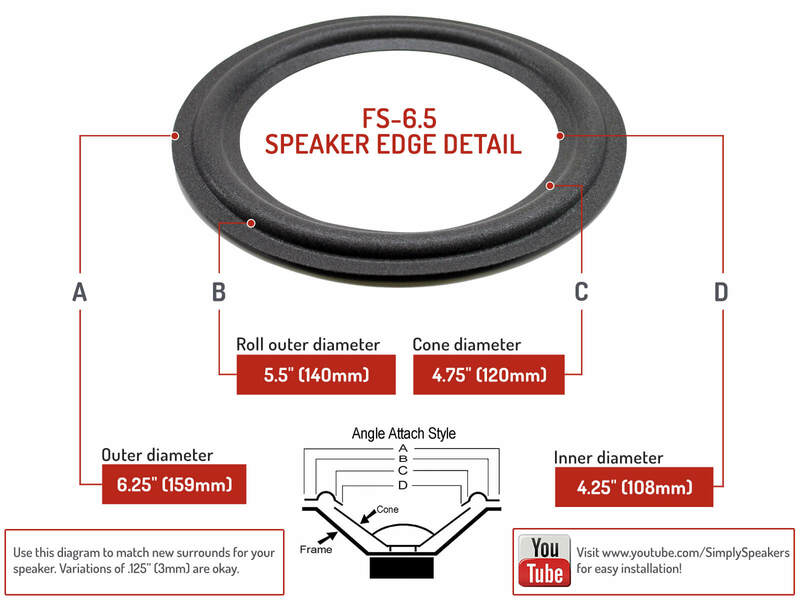 Q: on a 6.5 in speaker , what would the diameter of the foam measure? 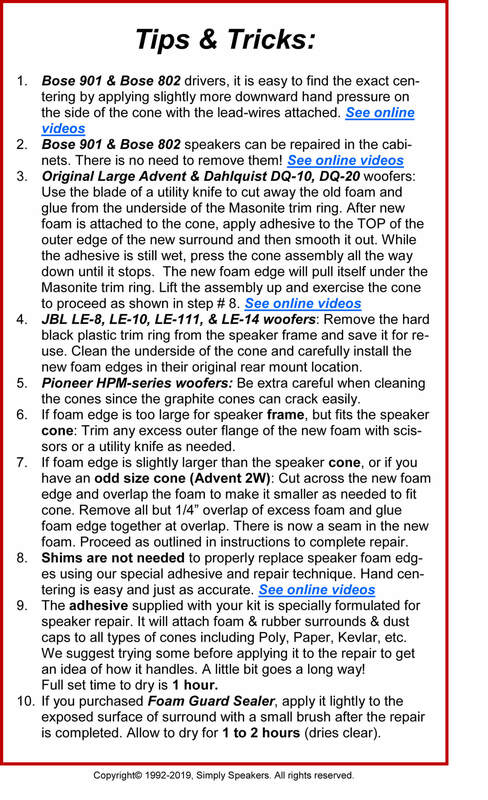 A: The foam measures 6.25" OD. Q: Does this type of repair require an expert hand? Or can it be done fairly easily? A: These are easy to install. 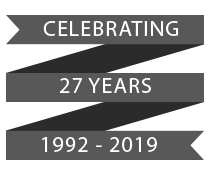 See our YouTube video page for more info. These are perfect for any average do-it-yourselfer. Q: My speaker suspension broken. It is hard for replacement as i don't have much experience to align centering? Do you ship to Malaysia? A: The alignment is not difficult. Please see our online videos and instructions for more information on the process. 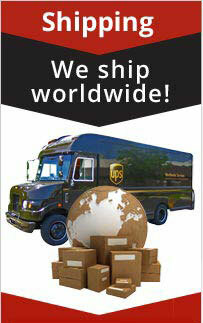 To see International shipping cost, simply add the item to the cart, then enter your country and postal code. 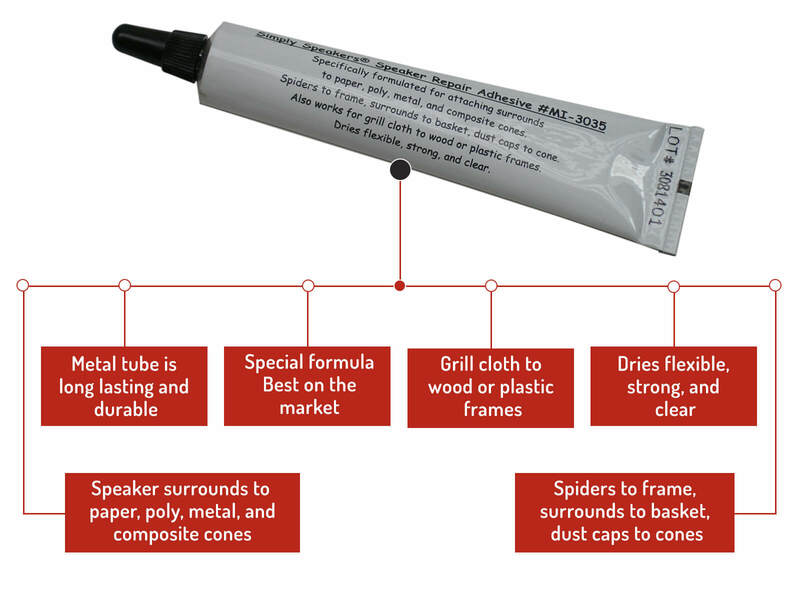 Q: How do I know if I need the sealer or not? A: Its optional. We recommend it for use outdoor or in humid environments. Klipsch Pro Media 2.1, Pro Media 4.1, Pro Media subwoofer, B16AR90PF, and many more!